After announcing the event date for the launch of BlackBerry 10 OS, RIM has released the BBM 7 beta version which brings free voice calls over WiFi. The new BlackBerry Messenger 7 will enable users to initiate free voice calls over WiFi to other BBM users, though they need to have an active BBM service too. 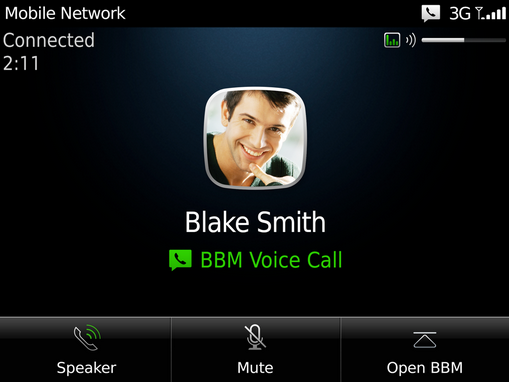 Previously BlackBerry Messenger only offered voice notes facility which was like short voice messages. The all new BBM 7 with voice calls will help RIM gain its loyalty back which was on a decline among its vast customer base. The newer version of BBM will enable users to chat and talk over voice call simultaneously and will allow users to initiate a voice call directly from BBM chat. BBM 7 is currently available for download for select circles and users from BlackBerry Beta Zone. The application will work on devices with BlackBerry OS 6 and above as of now with plans to bring the new features to devices running BlackBerry OS 5.